I thew about $1,600 at my debt last month and now I'm down to a little over 6k that I owe!! Give me a couple months and I'll be at zero! I basically used all my extra blog income, some Christmas money, and some ebay money to make the payment. Great job! I had one of my cards paid off but now that one and another one are basically maxed out because I had to get the safety steering rack gear or something completely replaced in my car and it ended up being like $2000 and I already owed a lot on the one card. But that isn't going to bring me down. I am determined to get the one card paid off again by the end of the year and work on the other ones. Aww good for you girl. dont give up you can do it!! thanks amy! oMG yes i will! Yay! You're doing great! 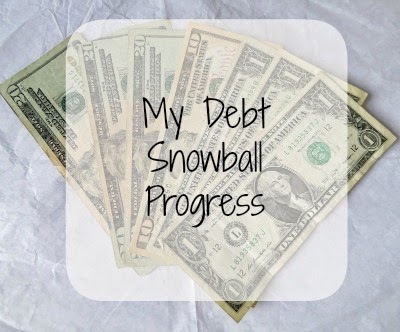 My husband and I paid off all our student loans, credit cards, etc last year and it was the best feeling! Thank you Elise! I can't wait to experience that feeling in a couple months!